← The Marshmallow Study Revisited: Context Matters! Almost two months ago, I wrote a post about how much time you waste at work. I thought it would only be fair if I then wrote something about how not to waste so much time at work. I came across a short two and a half-minute video detailing the science of procrastination and — more importantly — how to manage it. The techniques espoused in the video aren’t off-the-wall and they probably are things you might have heard. 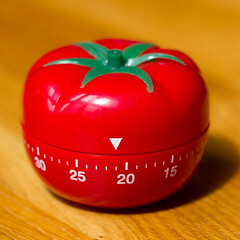 Though, take comfort in knowing that many people have used The Pomodoro Technique with great success! This entry was posted in Health, Science and tagged Procrastination, Productivity. Bookmark the permalink.